Video produced by Caden Cerulle, Nelson Poole and Avery Schroeder, students of West Ranch High School in Stevenson Ranch, California. Not long after, she and her students found themselves in the Southern California desert, shooting a story about the innovative way California’s Coachella Valley Unified School District provides low-income students access to free and reliable Wi-Fi at home. Judson’s students from Etiwanda High School in Rancho Cucamonga and Jennifer Overdevest’s students from West Ranch High School’s lab in Santa Clarita shot much of the video in the story. Thaisi Da Silva and Matt Ehrichs from the Student Reporting Labs team taught the students how to stabilize cameras as they shot an interview inside a moving school bus and gather the best natural sound by the dusty roadside. Students learn shooting tips from Student Reporting Lab Producer Matt Ehrichs. Correspondent David Nazar of PBS SoCal offered the aspiring journalists encouragement and advice about their future career goals. Nazar said he was surprised to find the level of capability and confidence the students’ had when it came time to shoot. He said he also appreciated having the perspective of younger people on a shoot that dealt with issues about access to education and technology. “At first I thought it was more of a tutorial, but it’s actually these kids getting out in the field, into the trenches, helping with the story and also lending their perspective and their take on things,” Nazar said. Throughout the trip, the students blogged about their experience and shared photos from the shoots. For Judson, the week left her feeling inspired to look for further opportunities to have her students work with media professionals. 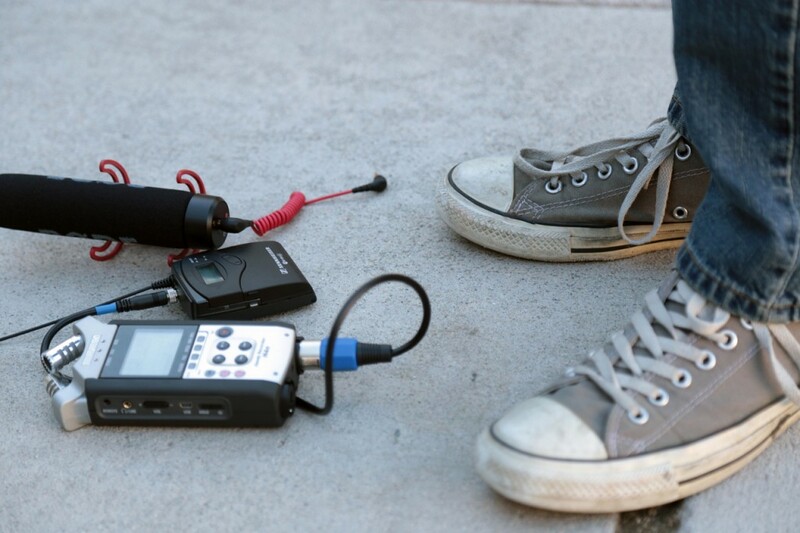 A student takes stock of audio equipment while on a shoot with Student Reporting Labs in Southern California. 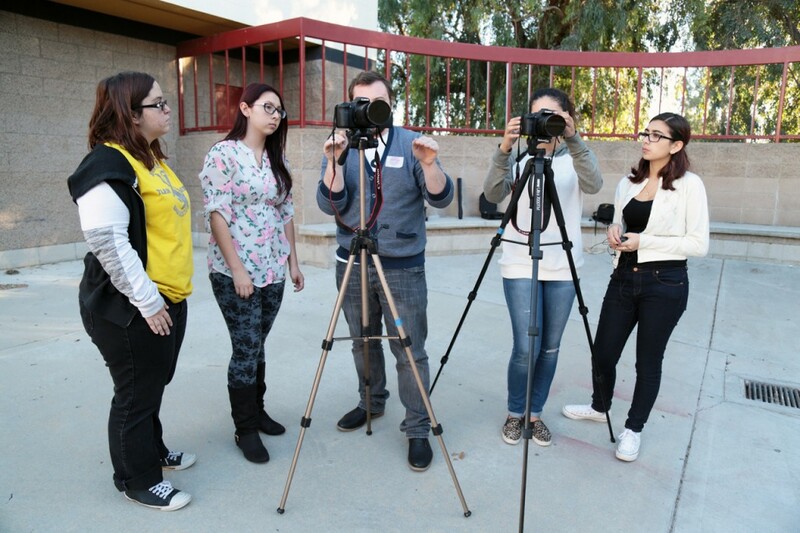 This was the first school year as a reporting lab for both Etiwanda and West Ranch. Across the country, more than 100 high schools and middle schools participate in SRL by pitching and producing stories about issues in their own communities. Some of the pieces occasionally make it on air. Even though the amount of work involved with SRL on top of the regular news show Judson’s broadcast class produces seemed daunting at first, she said the students adapted quickly to the increased expectations. Overdevest said being a part of SRL has allowed her students to gain recognition for the work they do. Watch the full report on Coachella Valley’s digital divide on tonight’s PBS NewsHour.